The Baroque Period began in 1600 in Italy with the beginning of opera. There was a movement among scholars and musicians in Florence that music needed to return to its Ancient Greek roots, though none of these people actually knew what Ancient Greek music sounded like. What they came up with was a style called monody, which was initially a solo singer accompanied by single lutenist (and later other instruments as well). This also included another type of song called recitative, where the singer would sing in a declamatory style like that of dramatic speech. The way instrumental music was written was revolutionized by the development of figured bass, where the accompanying musicians’ parts were made up of single notes with numbers or other symbols over them, indicating which notes were to be played in addition to the notated one. This bass line was known as basso continuo.  In the early 17th century, the term “opera” was not in use yet. Entirely sung dramatic works were often referred to as “musical tales.” The first such musical play was Jacopo Peri’s Dafne, of which only fragments survive. Claudio Monteverdi (1567-1643) began writing his own favola in musica, the first of which was his Orfeo. An example of the early recitative style can be found in the arioso Tu se’ morta in the second act of L’Orfeo. By the mid 17th century opera became an activity for a broader audience than just royalty. Monteverdi’s opera L’incoronazione di Poppea was performed at a commercial theater in the midst of carnival season in 1643. The main character of the opera, Nero (Nerone) was portrayed by a castrato singer. Castrati were men with an exceptionally high vocal range because of an illegal and dangerous operation that had been performed on them at a young age. The final song of the opera is a duet between a soprano and a castrato, performed here by a countertenor instead. Despite the risks involved and the side effects of the operation, castrato singers were still in high demand during the 17th and early 18th centuries to play heroes and other characters. Around the same time, Northern European composers such as Mogens Pedersøn (1583-1623) and Heinrich Shütz (1585-1672) went to Italy to study music. So, a lot of German works from this time period were trying to adapt the Italian style to the needs of the Lutheran church. In France, the music that was published and performed was ultimately decided by King Louis XIV (1638-1715). Early Baroque opera in France was called tragédie lyrique, which featured adaptations of Greek myths with French librettos. Here’s an aria from Jean-Baptiste Lully’s opera Atys (1676). Ballet was also a major part of court entertainment since Louis enjoyed dancing. The rest of the Baroque period was dominated by Italian influence. The librettist Pietro Antonio Trapassi (1698-1782), who used the pen name Metastasio, became incredibly influential on how opera was written, in terms of structure and plot.  Moreover, the composers Arcangelo Corelli (1653-1713)and Antonio Vivaldi (1678-1741) had a profound impact on instrumental music. G.F. Handel (1685-1759) made Italian opera finally catch on in England and established the genre of English oratorio (a sung, but not staged drama on a sacred or biblical subject). J.S. Bach (1685-1750) composed oratorios in German since his style was rooted deeply in Lutheran traditions, although Bach and his contemporaries were likewise influenced by Italian music. When Bach died in 1750 the Baroque period in Europe had come to an end, as the foundation for the Classical period, and thus modern music was laid. 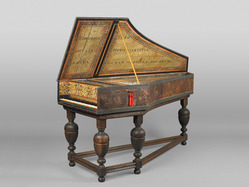 HARPSICHORD: A keyboard instrument, with plucked wire strings. BAROQUE ORGAN: A keyboard instrument, with its sound produced by air being pumped through pipes. 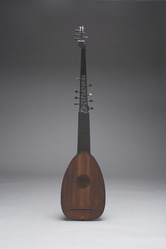 THEORBO: A member of the lute family, with a long neck to accommodate low bass strings. They could vary in size from place to place. French theorbos were sometimes a lot smaller, and Roman ones could be extremely long. 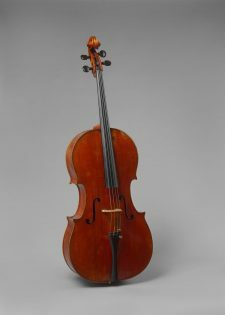 BAROQUE CELLO: The gut string, the precursor of the modern cello. It had no endpin, and the players simply had to hold it between their legs. 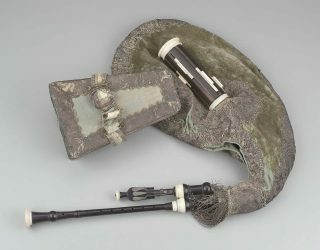 CHALUMEAU: The precursor of the modern clarinet. The history of the chalumeau is mostly lost, but it may have been used in France as early as the 12th century. 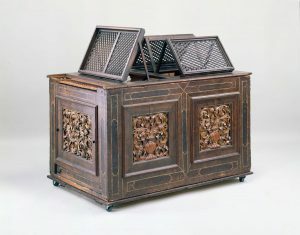 It took until 1700 for the instrument to become popular in other countries as well. BAROQUE VIOLIN: The gut strung precursor of the modern violin. 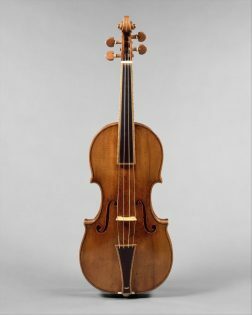 Unlike the modern violin, the Baroque violin had no chin rest. There are also a number of structural differences between the two instruments. 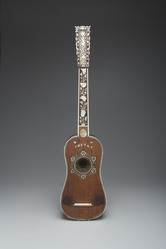 BAROQUE GUITAR: The precursor to the modern guitar. It was much smaller than standard guitars in our time and it was tuned slightly differently. Taruskin, Richard. The Oxford History of Western Music. Oxford: Oxford University Press, 2010. Woodfield, Ian, and Lucy Robinson. 2001 “Viol.” Grove Music Online. 25 Sep. 2018.